There are 475 posts in this topic. You are on page 4 of 10. I haven't found this mentioned anywhere, and I'm curious. Does everyone's MSF say, "In memory of Louis Boasberg" in the credits? Google tells me that he was an operator in the 40's. Let me fix your strange color on your DMD. Who did that? 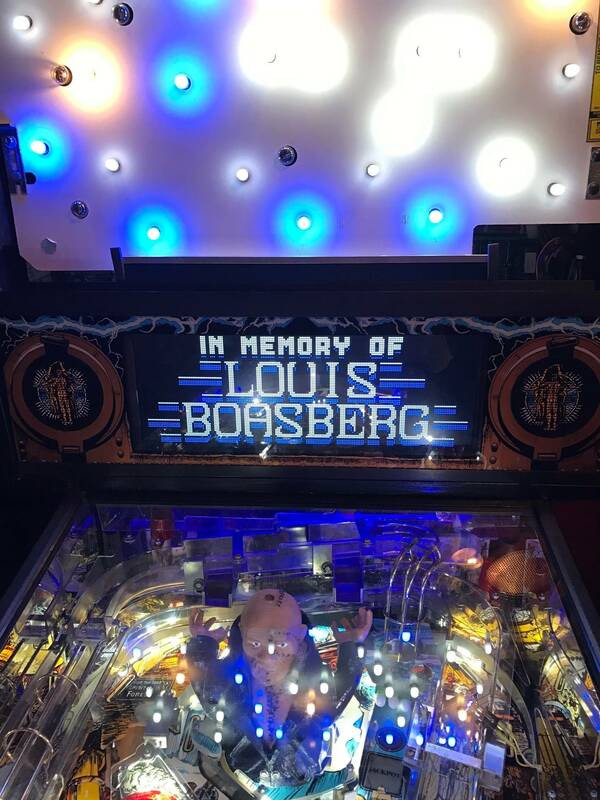 D'oh - there's even a picture of the Louis Boasberg tribute in this thread, post #125. Not searchable, though, so now he is. But as long as you're here, rappelbox ... the 3 pieces of the DMD are slightly misaligned with each other - is there a way for me to fix that? I've been too busy playing my new toy to take the display apart again and find out. crunchysue each panel is secured by screws on the back of the acrylic frame. 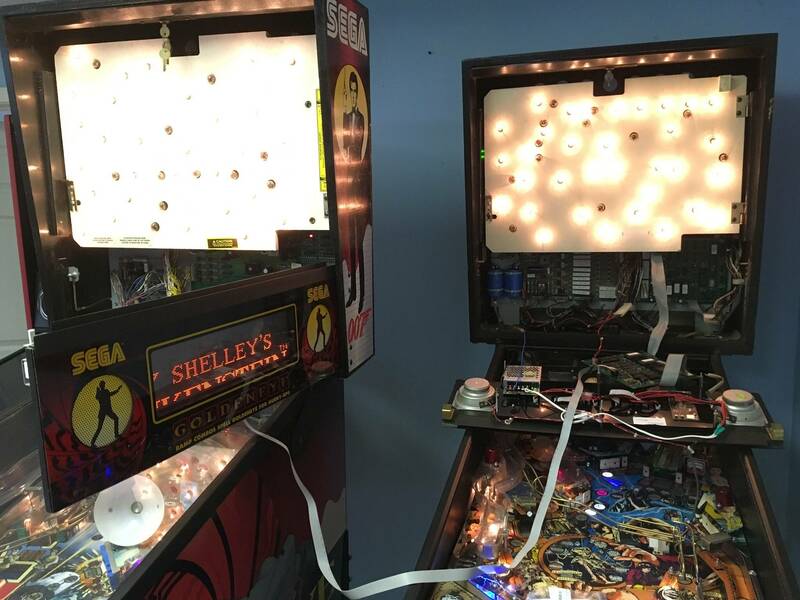 if you loosen them slightly it is possible to adjust the panels. Start with the middle one as this fixed mostly all missalignments. Thanks, I've got it aligned a little better now. And I really like the color scheme in your picture. So ... now that I've got my PIN2DMD-XL installed, Frank has an intermittent issue where the DMD stops at its second screen, which is shown below. I can start and play a whole game, and the display just stays stuck here. It was happening intermittently, and now it happens every time. Any ideas what this problem could be? 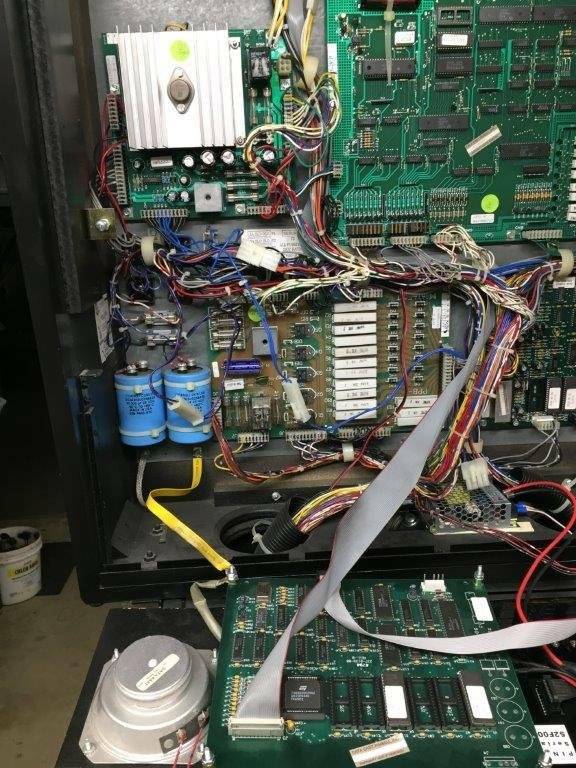 I've tried reseating all the connectors, and I've made triple sure that all the ribbon cables have their red stripes on pin #1. 1. it seems like the settings are not read correct any more, the the colors are off in direction. Is the SD-Card seated correctly? It is a push-in/push-out reader, so make sure it is not just slided in. Thanks for helping me, rappelbox! The colored squares have always been off to the right, even when the display was working correctly. I'll check the SD Card. ... OK, the SD Card was seated properly, but I re-seated it anyway. That didn't fix anything. 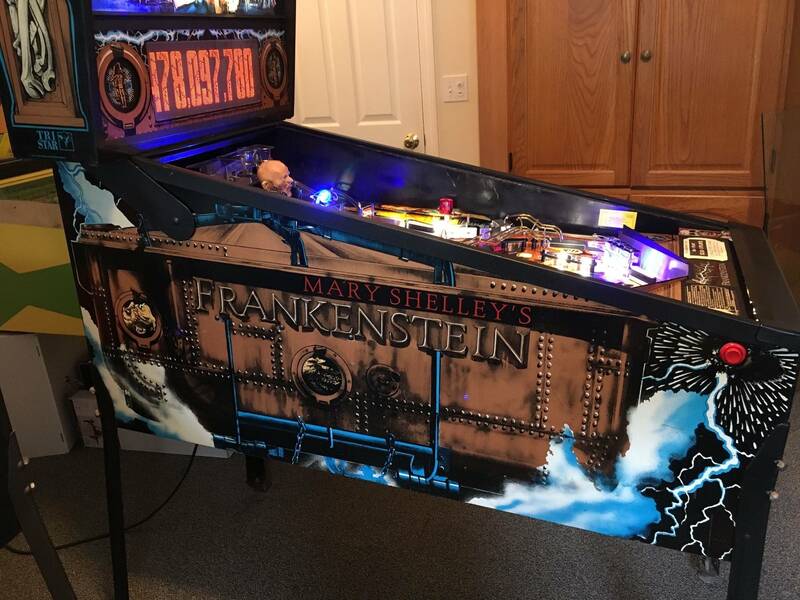 I also have this issue on a Frankenstein. It ended up being the tall skinny adapter board that was bad (out of the box evidently as it never showed the game DMD). German Gaming Supplies is sending a new board. As for the squares, the leftmost square I believe is the background color which blends in since the background is set to black. Oh, well that would explain why the squares look like they're off to the right. How did you figure out the board was the problem? I also have this issue on a Frankenstein. It ended up being the tall skinny adapter board that was bad (out of the box evidently as it never showed the game DMD). German Gaming Supllies is sending a new board. We went back and forth through email troubleshooting the cable and the way it was connected, which was not the issue. 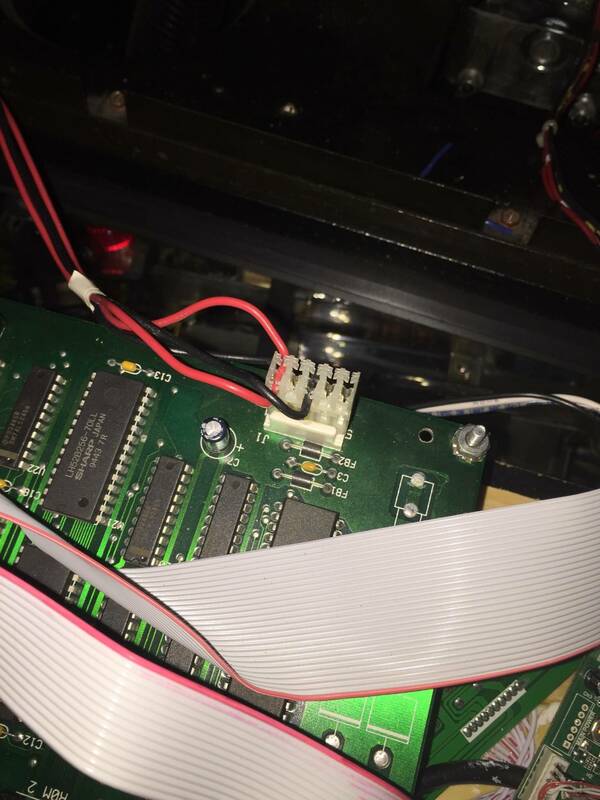 We used the included special ribbon cable to connect the driver board to the adapter board, and also plugged the driver board in Frankenstein up to a standard sized display as a test and it worked. Yes, you can do this and a standard 128x32 DMD will lock sync and display the upper left corner of the image! How are you guys mounting your power supply? I physically have mine wedged in below the caps (left side of the backbox). We have this one zip tied to the existing mounting posts for the DMD. 1. Mine did not come with any ribbon cables, other than the ones that were connected to the new DMD. But there was no super long one that would connect to the main board. 2. My power supply is currently just sitting in the backbox. I'll figure out how to mount it when it's all working. 3. If you hook up a regular display to Frank, does it need to be a Data East display? I only have a Williams one. 1. The one that was pre-connected is what I meant. The long one was bought separately to do that test. 3. No, any 128x32 display will work. Displays are interchangeable between manufacturers. 3. Wait, I don't have any other DMD's. I'll have to see if I can borrow one. crunchysue . . . what a name! This is my Frankenstein pin that Crash is talking about. He really knows all about pins, so whatever he tells you, you can believe it. I bought a 60" long cable from Marco just so we could easily connect up to another DMD, so one of those does NOT come with the display package. I am hoping a new board from German Gaming Supplies will resolve my problem, and perhaps it would resolve yours aso. We have been battling this since January, I think. I'm not sure he is believing that his board could be a problem. But we have ruled out everything else. I just hope it is on the way. did your display work at all? No . . . my display never went past what you can see in the pictures in this thread. If you have any technical questions you need to ask Crash, for I'm not worth a plug Nickel if the technology gets too deep! Yeah .. . 60" is pretty long . . . 5 feet . . . but you may not need one that long. I think we could have got by with one 48", but with this long one we didn't have to worry about jamming two pins so close together. Looks like our problems are similar yet different. Wish they were both identical because that might help nail down the problem. 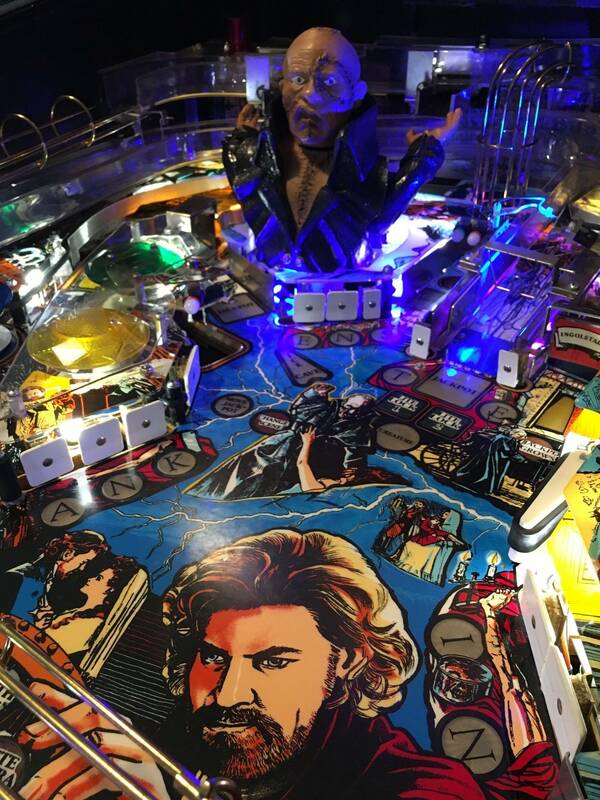 Does anyone know where you can get insert decals for this game? I removed my mylar and a couple lifted. Thanks much! So, rappelbox, you said you wanted to help. Do you agree that testing a known-to-be-working DMD in my Frankenstein is the necessary next step? Or what do you suggest? I hope you get a response soon. I PM'd him yesterday and have heard nothing. Since he is in Germany and I lived there and can speak some German, I have talked with him by email long before I bought my board. His name is Dominik and goes by "Dom" for short. I know he gets very busy at times. I reckon we just have to have patience until he can get back with us. Come on, Dom ole buddy, and answer our questions, please. Have you mailed my replacement board yet? Thanks, pintucky. I'm very close to being unhappy enough to just buy his competitor's product (the Italian one). Seems like it ships quickly, and also works. I had a similar issue with my color extender. Reversing the cables to the main board and power supply fixed it. Unfortunately I deleted the photos, but I started a thread on it somewhere if you search, and I believe I uploaded all the photos there. I know ... but I'm just not made of four hundred dollar bills ... I'm sure you know spending yet another $400 is a hard pill to swallow. But I am definitely considering it. Maybe you should also mention that this product has the last row display uncorrectly which is really a simple problem and has´t been fixed for weeks now. Not to mention that it does not provide even the simplest way of colorization like scene based palette switching. That is really strange. It seems to be missing a signal line. Try to play with the ribbon cable and the connectors when the game is on to see if it comes to live then. We first need to find out wether it is a display or a sega controller issue. 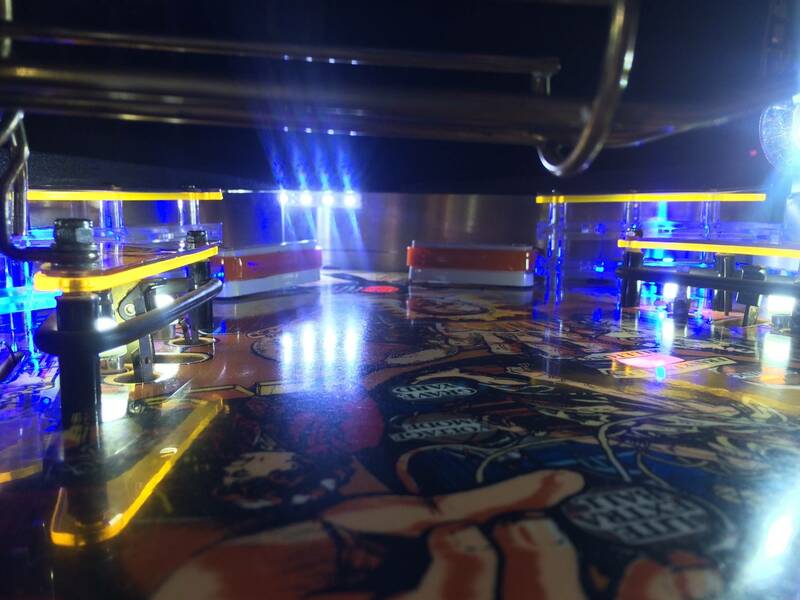 Do you have the chance to put it into another sega machine for testing ? We could also test with another dmd. It does´t need to be a large display. 128x32 also works. I used a stern LED DMD for testing when I repaired my Sega dmd controller. Trying another ribbon cable or turning it 180 degrees on both sides could also help. I´m sure Rappelbox will take care about your problems. Thank you for helping out again!!! To make things more clear for me and you i suggest to mail me directly about issues! Like lucky1 said, it's often hard to check all forums, threads etc. It's time consuming very much and i often tend to overlook some threads. If you mail me directly i can handle these issues much faster and more reliably. And if there are general issues that affects all boards I will for sure address them publicly so that all customers and people in general will benefit from solutions and suggestions. Crunchysue do you have the original plasma display to test with? I have the original DMD, yes, but it has never worked. It doesn't turn on at all. I wouldn't worry about your game's DMD board. Most likely an issue with the display. I had a defective DMD board in my Batman Forever and it took me weeks to find the corroded via beneath a IC. 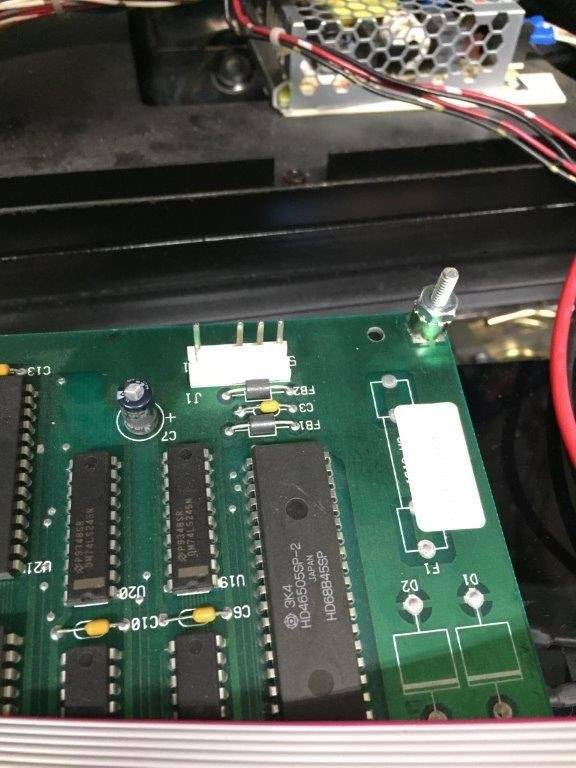 Before we start to search for a problem with pin2dmd we should make sure that the Sega DMD controller is properly working. 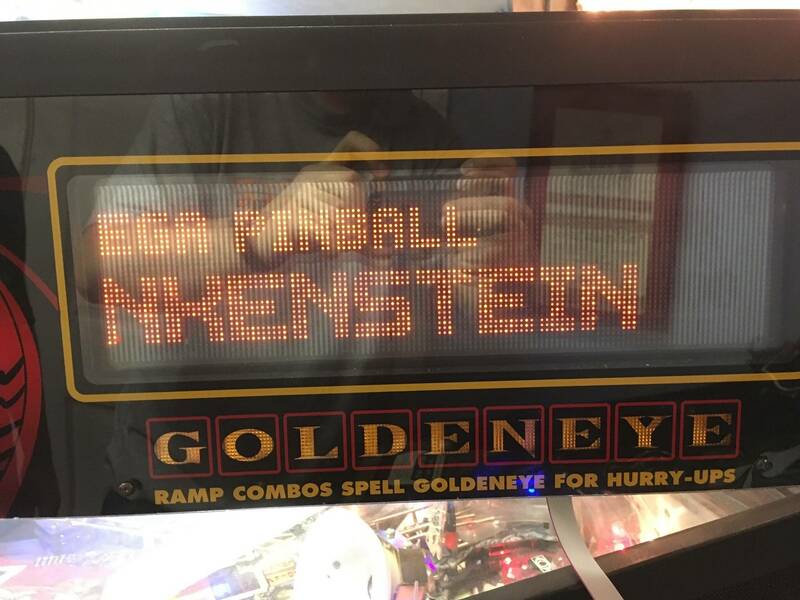 I must say that I am very happy with the pinballsp screen for my Frankenstein. Even though it is the initial release of hardware and runs on beta firmware. The ease of mounting with plug&play and configure the basic colors in a text editor on the computer is so releaving.. Less than 15minutrs to remove the stock screen and mount the replacement playing the first game. All i have been waiting for is a plug&play alternative for the eventually failing unobtainaium stock DMD. Less than 15minutrs to remove the stock screen and mount the replacement playing the first game. the software part. To give you an idea, Steve and I have been working for more than 2 years now on pin2dmd spending a couple of hours almost every day to get where we are now. In comparison 10 months after announcing the DMDMK66 the functionality of Luis´s DMDMK66 128x32 firmware is still exactly the same as ecrutz´s public code of rgb.dmd, which he uses as a base for his development. I´m sure he will fix the problem of the last row displayed incorrectly on his Sega display in the future, but this little problem alone taking several weeks to be fixed should give you an idea about his progress in software development. 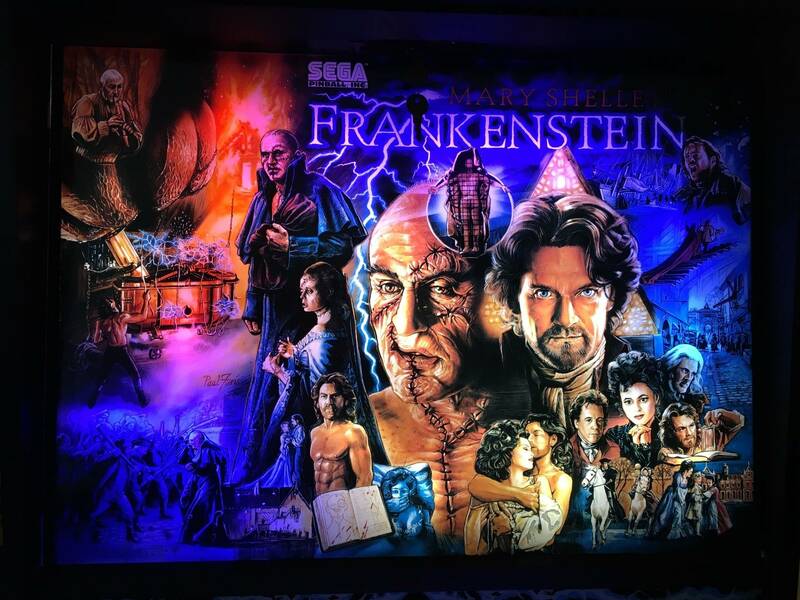 I don't care about the software part and I frankly don't see what your jibberish about any 128x32 solution has anything to do with Frankenstein that use a 192x64 display. Again: All i have been waiting for is a true plug&play alternative for the eventually failing unobtainaium stock DMD that do not need any extra parts than the original parts in the Sega machine. 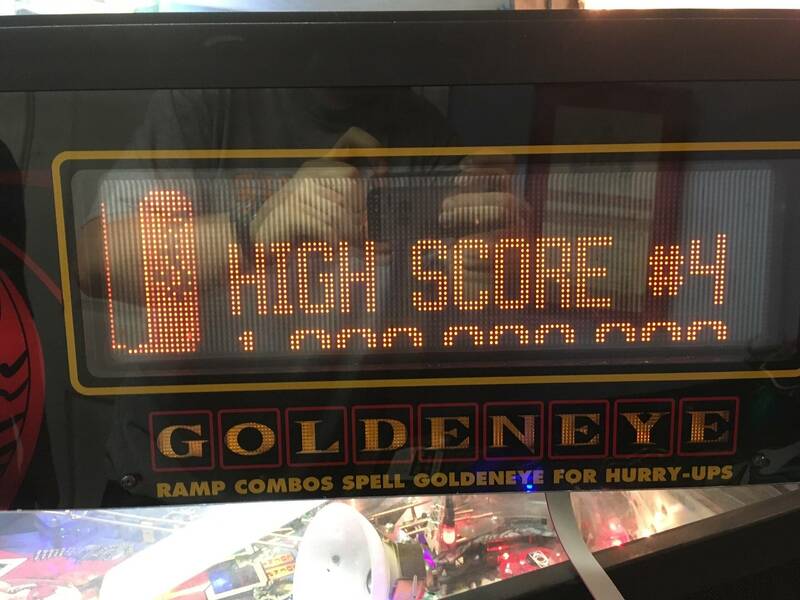 Pinballsp provides exactly that. Tough its only been available for some short weeks running on a beta firmware. It ticks all the boxes for me and my needs already. The pin2dmd solution does not (2years and counting) . It is as simple as that. Listen, this defensive mudslinging has to stop. You and Dom are selectively leaving out major issues and inflating the value of the PIN2DMD product. 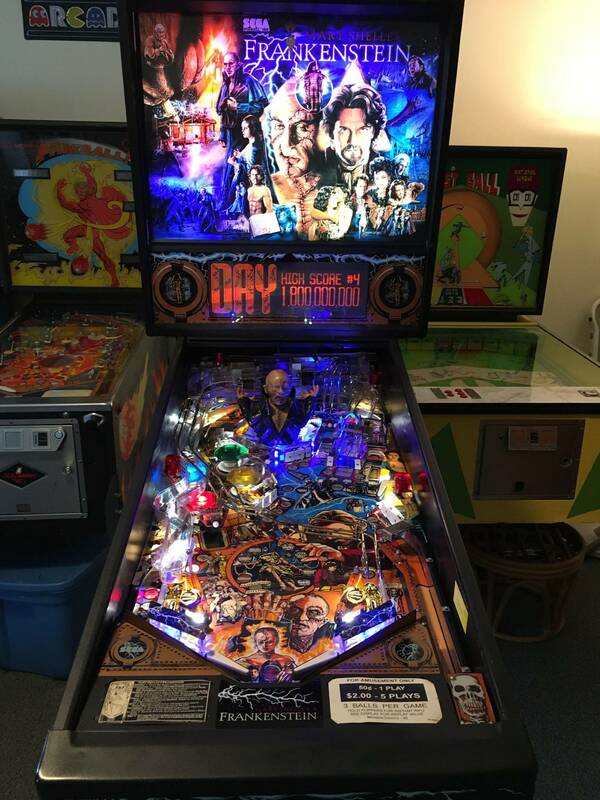 I have a 128x32 PIN2DMD shield kit from Dom for my Tales from the Crypt. 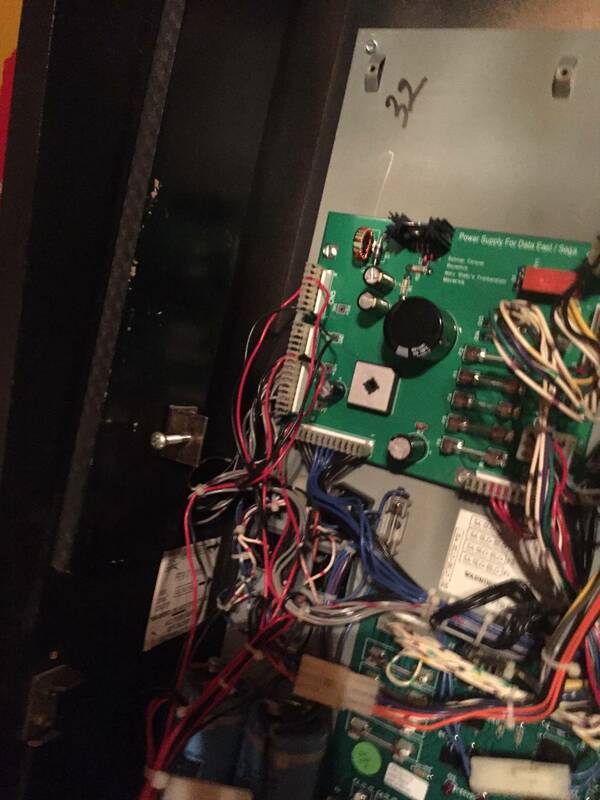 It didn't even work due to an issue with the shield board and signal detection, which I had to make several posts on the forum to resolve by ultimately removing an enhancer chip that wasn't even for a Data East game, setting a jumper, and jumping two pins of the socket for that chip. After that it still took me a good 30+ minutes to fit everything, route cables, mount the power supply, test, register the software key, etc. And at that point I'm happy to report it works perfectly, but a plug and play solution? Far from it. On top of that we are seeing posts in this thread showing several PIN2DMD XLs aren't even working out of the box or have stopped working. Luis fires his mouth off on the forum to you guys as well, but lately he has been more focused on the product he provides and less focused on talking about his competitors. His product is sleek and works in a few short minutes with very few issues. This is what the market wants! Great video! Good way of showing how easy and truly plug and play it is. You are right. 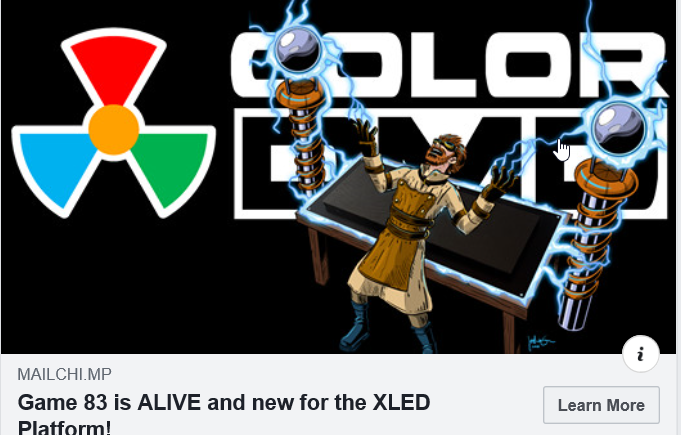 If you need it plug and play now and don´t care wether full colorization will be possible some day or not you are served well with pinballsp´s current products. 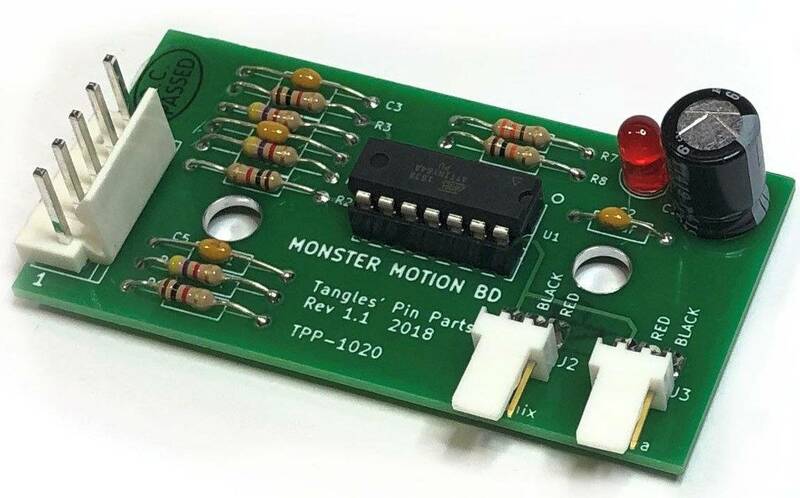 But if you want your display fully functional and with working colorization possibilities but with a little more installation effort the current pin2dmd solution may be an option for you. If you want both a plug and play display and pin2dmd functionality you may wait and see what the future will bring. Full color is currently possible and Luis has written the Magic Color program to allow anyone to colorize his games. 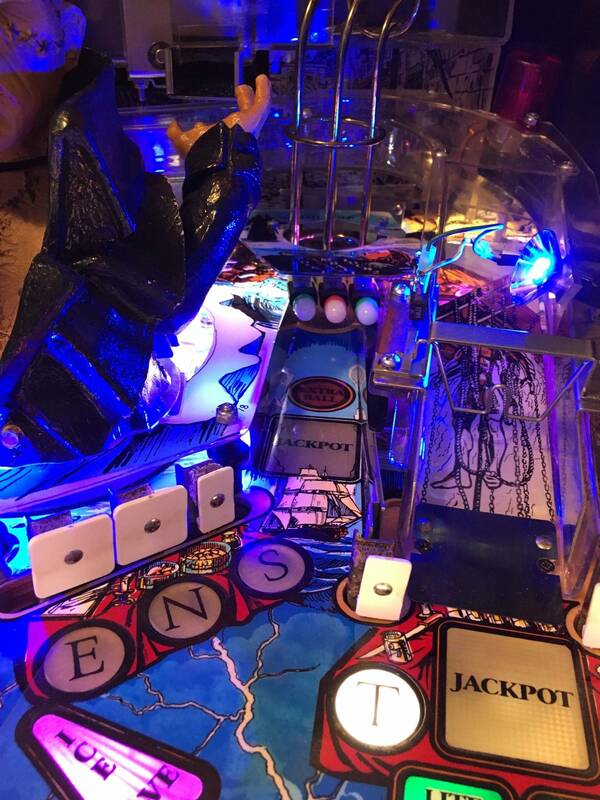 So you are admitting PIN2DMD is not plug and play and right now requires more setup effort. Thanks for being honest. Definitely interested in seeing the future of your software, and others too! You should be honest too. A single static palette is not full color and Luis has not written the Magic Color program, he has started to write. Thats a big difference. We should talk about this as a feature when it is available. Sure ! PIN2DMD is a DIY project, based on a widely available dev board. It is as much plug and play as the hardware suppliers/manufacturers make it. But you seem to prefer plug and play hardware more than fully functional available software. I´m not only talking about software. Luis is a good example to see how fast a good hardware can be designed and he is definitely not the only one who can do it. While I'm a little foggy on the Lucky1 and Dom connection, I can't understand why the posting energy on this thread and the other one on Pinside doesn't go toward helping us guys who have these new DMD's from you to getting them to work! "Crunchysue" has been having problems that go unaddressed and I've been fighting this problem for over 9 months now without a solution. I spent all this money and haven't used my pin for nearly a year now!!! WHAT IS THE PROBLEM? I see references were you both have regular jobs and I can certainly appreciate how challenging ANOTHER job to come home to can be. But this has taken WAY too long to resolve. Our problems seem to be deflected to "It's our fault on our end." Or, "Something was already wrong with your pin to begin with. That's why the new DMD doesn't work." Or, words to that effect. In my case, we wanted to try and swap in a new board and see if that was the problem. It now appears you don't even HAVE any boards. 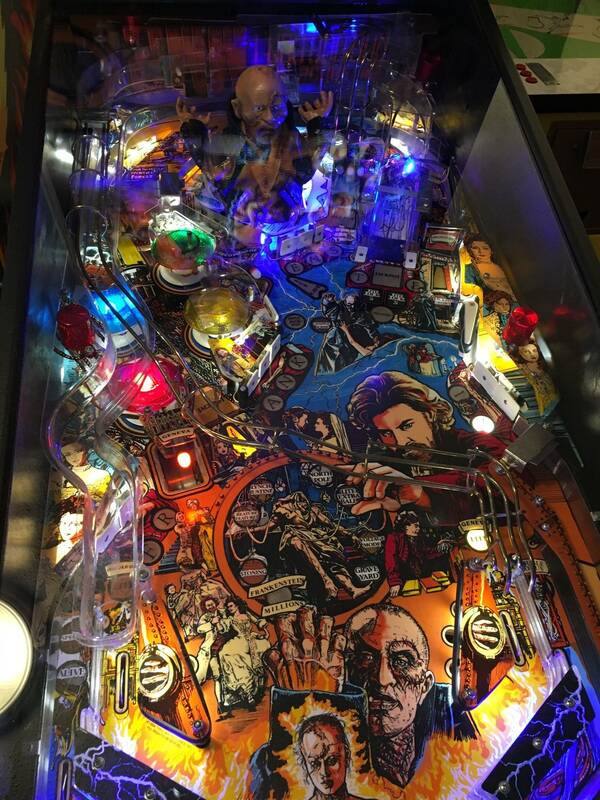 I wouldn't be so adamant about pointing fingers at you guys if I didn't have one of the best pinball repair persons on the planet working on this Frankenstein pin for me. "Crash" is an expert bar-none! If HE says he can see the issue, then you better believe it!!! Not only am I disappointed and flustered with having all this money sunk into a useless DMD that has been sitting here idle for nearly a year, it REALLY bothers me to come down hard on two German guys. I lived two years in that country and have the utmost love and respect for ALL things German! And that includes you two guys. Don't soil my opinion of the German work ethic, intelligence and honesty. But dammit! It's time for you to talk with me and/or "Crash" and let's get to the solution!!! And don't EVER question the abilities of "Crash"!!! It hurts MY OWN feelings to have to talk rough to you guys. It's time for damage control. If you want to sell these things then COMMUNICATE and without putting the blame on us. If something is wrong and you are fearful you made a mistake in development, then PRIVATELY communicate this to me. If you can't afford to buy new replacement boards, I can understand. Just TELL me and I'll keep it to myself that you are having problems. I am very aware of the issue with your board. I’ll also address it publicly so that everybody can read. There have been sold more then a few of these displays from around a year ago. If there would have been general issues, trust me there would have way more people reporting and wanting a refund or rebuilt controllers. To make things short, you get a new controller within 2 weeks from today or a total refund and you can keep the device. If crash is willing to spend time and effort on it he can figure the issue of that particular unit out. Honestly I never questioned the abilities of crash, but we need to talk in a different way since these harsh words don’t lead to an objective result. We already have this discussion in different threads, also on different forums... so please don’t get me wrong but please let’s keep this thread clear of the technical issues of different dmd options and get to the original topic of this thread. I can only kindly ask you to MAIL me directly to info@germangamingsupplies.com and not PM me. Same goes for crash. The only reason I posted on this forum thread was I HAD emailed you privately and got no responses. I thought you were ducking out on me. Maybe going out of business or something. Otherwise, it would have just been between you and me. Perhaps I am sending my emails to the wrong address. I sent them through Pinside's PM spot. I thank you SO much for this answer about mailing the controller. I promise you, if we install the new controller and that isn't the fix and it is something else wrong NOT to do with your DMD, I will not only mail that board back to you, but will pay you for the wasted postage. I WANT you to make a profit and not cost you what little money you probably made. I think of us ALL IN THIS TOGETHER! I'm on YOUR side. I'm not out just to protect my pin and getting it fixed, but to protect YOU also! You will not lose money working with ME! I promise! Thanks again, and . . . . Vergib mir, wenn ich deine Gefühle verletzen würde. Deutsche Leute sind mir ZUERST, wenn es um Treue geht. Ich ehre nicht einmal mein eigenes italienisches Volk so sehr wie ich Deutschen. Ich hoffe, wir können dieses Problem endgültig lösen und wir können wieder gut und vertrauenswürdig sein. Mein herzliches "Danke" und die besten Wünsche. I probably failed my German test!!! Hi MIMA - Can you share you color selection and order so I can duplicate...thanks!! Thanks a lot for your response, I've started an email chain between us.